Here’s how it happened to me: Back in 1990 I was playing hooky from my unsatisfying biotech job in Seattle by browsing the homesteading shelves in the public library. I pulled down a thick black book I hadn’t seen before called Permaculture: A Designers’ Manual. As I perused the pages, suddenly my previously fragmented life made sense. I had been fascinated for years with ecology, appropriate technology, economics, gardening, evolution, construction, energy systems, social justice, and a raft of other seemingly disconnected fields. But I didn’t want to specialize in any one of them, and I had been watching with some envy as my friends dropped into successful careers in various niches. Now, finally I knew what was going on. What a relief to find that a whole-systems approach could tie together the many disparate pieces of my life. This is, I know, a familiar and exalting experience for many when they first encounter permaculture. Another familiar and not-so exalting experience for most of us is trying to explain permaculture to our friends and families, and receiving blank, confused, or condescending looks in response. I’ve explored this problem in the past, as have others. I’ve continued that journey, and want to share some of my latest thoughts on how we can explain permaculture to others and where it fits into a larger picture. Just as permaculture helps umbrella many seemingly unrelated disciplines and places them into a larger context, we can understand permaculture better by seeing where it lies, in turn, in its own larger context. Much of the difficulty and confusion around permaculture stems from its protean nature: It can be many things to many people. It’s been called a philosophy, a movement, a design approach, a set of techniques, a practice, a worldview, a land use ethic, a science, a pseudoscience, and even a religion. I’m finding that the most fruitful way for me to think about permaculture is that it is the design arm of a paradigm shift. To be more specific, it’s the design approach for achieving the goals of the sustainability movement. And I mean sustainability in the largest sense, not just environmental sustainability but social and ethical as well. Permaculture is what we use to put into action our growing understanding that humans must fit into the web-work of the rest of life or we’ll make this planet uninhabitable for us and for countless other species. It gives us tools for social justice and for working together. To use a Buddhist analogy, it tells us how to do the “chop wood and carry water” work that remains after enlightenment; in this case, the enlightenment of gaining a whole-systems perspective. After your world changes, there’s plenty of work to be done. That work is permaculture. Much of the knowledge that made permaculture possible has been around much longer than permaculture. Seeing that larger context helps us see which problems permaculture is trying to solve—for it is, indeed, a problem-solving toolkit. That context includes the ancient indigenous wisdom that inspired much of Bill Mollison’s vision. It also includes the ecological science that emerged in the late nineteenth century. Important, too, are the whole-systems sciences that first appeared in the 1940s, laid out by people like Ludwig von Bertalanffy, Norbert Wiener, Kenneth Boulding, and Donella Meadows. And there is the outrage and grief over the despoliation of the planet that spawned the environmental and sustainability movements, which found voice in the 1950s with Rachel Carson and many others. These are some of permaculture’s teachers and mentors, and they were each building a worldview much more coherent than the dominant paradigm of reductionist science could ever offer. The entire framework that their work was based in had to arise before permaculture could exist. To give that large framework a single name, I think of it as whole-systems thinking. This larger context of whole systems into which permaculture fits and plays a role is why I am reluctant to use such grand terms for permaculture as philosophy or movement. Permaculture is a part—and an essential part—of those larger sciences, philosophies, and social movements, but it’s not the whole story. It doesn’t encompass them, it derives from them. And, most importantly, permaculture gives us the tools we need to bring this new understanding of whole systems into the world in physical form and action. Once we have learned to think this new way, permaculture tells us what to do to make it real. Permaculture, then, is a systematized program for enacting the worldview of the social justice and sustainability movements and for bringing the wisdom of indigenous knowledge into contemporary life. It is whole-systems thinking in action. It’s what we need to do to be living in alignment with the new paradigm, so nicely phrased by Rafter Sass Ferguson, of meeting human needs while retaining and enhancing ecosystem health. The genius of permaculture is that it is both a tool for enacting the new paradigm of whole-systems thinking and a way to learn how to make that paradigm shift. To use permaculture effectively, we need to have made the transition to the holistic worldview. Until we have done that, permaculture can look like a set of gardening techniques, or at most a set of practices guided by a list of dogmatic principles and three ethics. We can’t get good at it until we have moved beyond the reductionist view that most of us were brought up in. But the beauty is, simply practicing permaculture teaches us to think in whole systems. Sheet mulching, just to take one possible path, helps us see the soil food web, which shows us what creates the conditions for healthy food, which can point us toward food justice, and then this helps us see how human and planetary ecology are interdependent. Permaculture is a tool for working our way toward these larger understandings. And if you’ve already made the paradigm shift, permaculture tells you how to manifest it in the world and in your life. These mutually reinforcing aspects of permaculture are part of its power. That, not incidentally, is how whole systems work: Their interconnections are their strength. Knowing that permaculture is embedded in a larger movement toward sustainability and in a whole-systems paradigm also constrains us from doing stupid things with it. We won’t use permaculture to try to sustain the unsustainable. Putting a green roof on a pesticide factory can’t be permaculture design. Reducing waste or energy use at a toxics manufacturer isn’t a viable design project because we know that we must take all the system yields into account. A planet-killing process can’t be reformed; it must be eliminated at a higher design level. This also shows why a set of ethics is naturally embedded in permaculture. When we are thinking in whole systems, we inherently are aware of the consequences of our actions, and we know that there is no such thing as an externality. There is no “away.” In a whole-systems view, pollution and human suffering aren’t incidental by-products of manufacturing so-called wealth but are seen as central yields that highlight bad design. In permaculture, care for the earth and care for people become inherently integrated into the design process. Indeed, those are the ultimate products of our designs; the other yields—money, consumer goods, even food—are the by-products. The understanding that permaculture is what the sustainability movement uses to manifest its vision helps clear up the thicket that has grown up around describing permaculture. I don’t see permaculture as a philosophy or even a movement in itself, but rather is part of a much larger movement: the great paradigm shift that our species must undergo to be able to remain on this planet. That movement and paradigm are far greater than permaculture. Permaculture, however, plays a central role within that greater movement and that whole-systems philosophy, because it is, so far, the best approach for putting those global visions into practice. 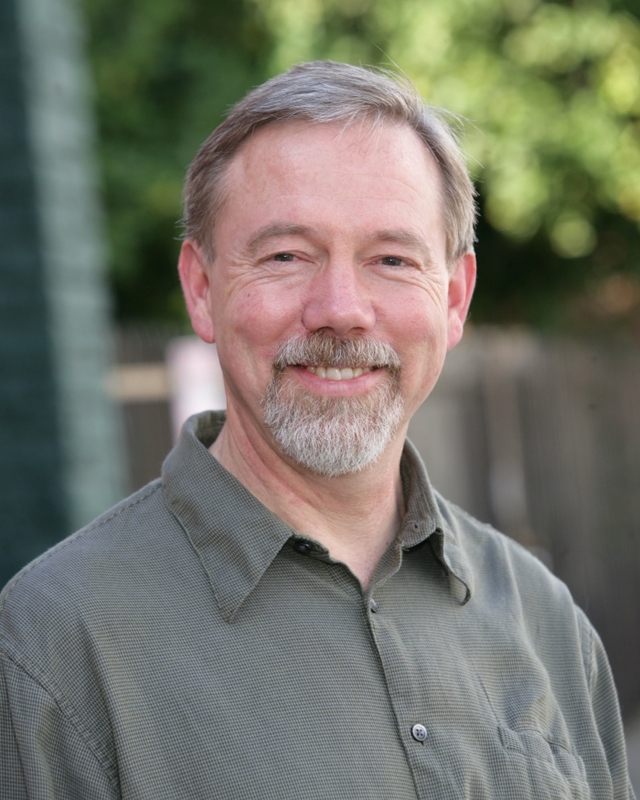 Without the design approach and strategy-building tools of permaculture, the environmental movement could remain mired in protest, negativity, a battlefield mentality, and the compromising and destructive alliances increasingly being made with corporate polluters by The Nature Conservancy, World Wildlife Fund, and other institutionalized environment groups. Permaculture can help them move forward, because it provides the solution set for the problems identified by the environmental and sustainability movements, and does it in ways that allow those communities to break out of the old-paradigm, beholden-to-big-money traps that large non-profits and NGOs are stuck in. In its social structure and design methods, permaculture reflects the local-scale but widespread, distributed-network approach to solution-finding that is one of the hallmarks of whole-systems design. It allows those who use it to escape the fundraising treadmill, the scarcity mentality, and the us-versus-them mindset. We learn in permaculture that a key question to ask of any design element is, “What is its function; what does it do within its context?” So let’s ask that question of permaculture itself: What function does permaculture perform in the world? And I would answer that it gives us concrete methods to bring our new understanding of whole systems into reality so that we can live regeneratively. It is the set of tools that the social justice and sustainability movements can use to plan and manifest their vision of a better world. Permaculture is the design arm of the paradigm shift. Thank you for sharing your insights and experiences regarding permaculture and how we might apply it on a larger scale. I like this better than the idea that permaculture is a “movement.” Thank you. Thank you for this elegant summary of your current thinking. Re-posted at Resilience with Toby’s permission. Thank you! 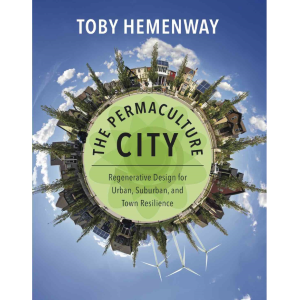 Toby, so wonderful to hear your evolving thoughts about the role of permaculture in the paradigm shift to a sustainable planet! Thank you. Fabulous article! I always struggle to explain permaculture and I appreciate your clear-eyed view. Thrilling! … Now let’s combine Permaculture with Ontological Inquiry … and we really have something! At your service! Thank you for putting into words what has been in my confused head, so it makes it easier to explain to myself and others where permaculture design stands in the whole picture.